Twin City Cat Fanciers is proud of our history of contributing to cat related rescues/charities through the years. We have primarily donated funds to no kill shelters that help local cats to either place them or care for them if they can not be placed. We have donated to The Winn Feline Foundation, which CFA uses to pay for research into cures for Cat Diseases, etc. We had a booth set up at one of our recent shows for the National Alliance of Burmese Breeders rescue group. We donated $500 to the Minneapolis Animal Care & Control. 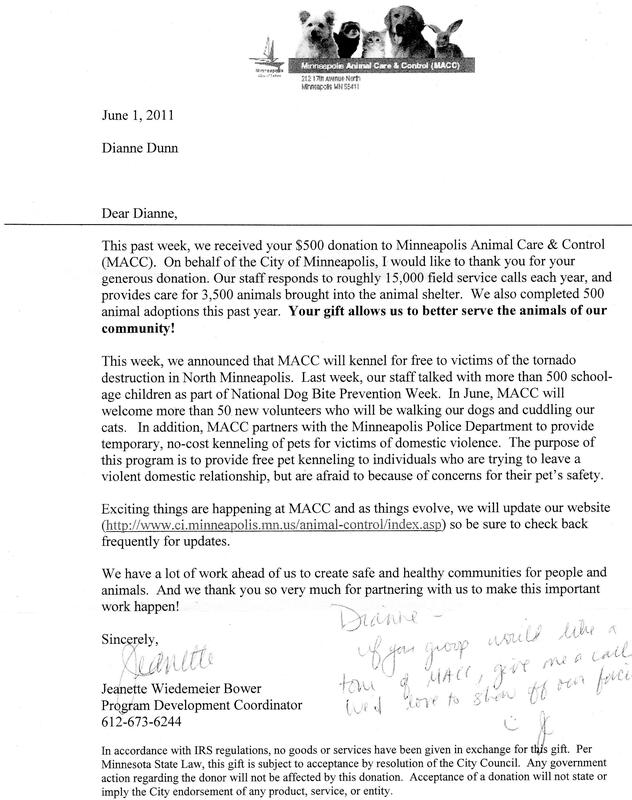 This allowed people in Northeast Minneapolis that were affected by the Tornado, to have safe housing for their animals until they could get themselves relocated and take their pets back. They sent us a very nice note acknowledging the donation.